Premiere recording of music by this early twentieth century Irish-American composer by the internationally acclaimed RTÉ ConTempo Quartet. Swan Hennessy’s compositions owe a debt to the French impressionists but have a power all of their own, evoking the spirit of the Irish independence movement and Celticism without any sense of pastiche. And yet the man himself has been all but forgotten in the pantheon of early 20th century composers. This may be because he was born in America to a Cork father, studied in Germany, lived in London and eventually based himself in Paris. Whatever about Hennessy’s Irish DNA (called Swan after the surname of his mother), there is no doubt about his feelings for the country: "it is the love of Ireland that has inspired my work" he said in 1923. This affection for his ancestral homeland is reflected keenly in all bar one of the works on this CD. His String Quartet No.2 is dedicated to the memory of Terence MacSwiney, Lord Mayor of Cork, who died of hunger strike in an English prison. Characterised by a minor key opening to suggest the suffering of MacSwiney, it ends on a more optimistic C major finale. Clearly, as a composer, Hennessy’s interests are in tonal composition and even with the chromatic, less descriptive writing in his String Quartet No.4, the overall effect remains firmly in the mainstream of European art music. Perhaps nowhere is this more evident than in his Sérénade Op.65, a short, single movement work that starts sombrely but ends in an upbeat Celtic style, making one wonder why it has not been a favourite encore of all Irish string quartets in the past decades. 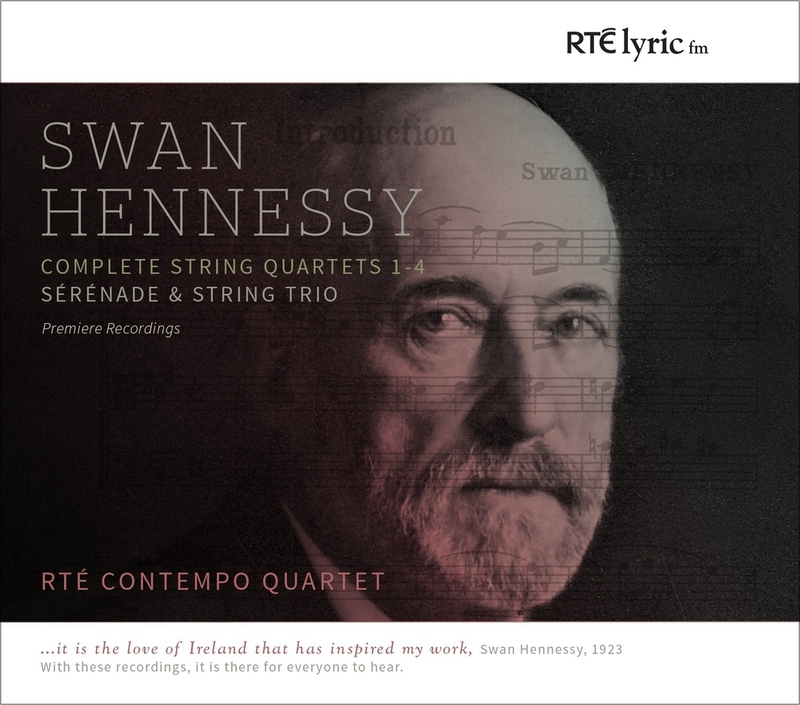 The chamber music of Swan Hennessy on the CD is worth rediscovering and is another addition to the critically acclaimed catalogue of Irish composers and musicians available from RTÉ lyric fm.